BEDFORD-STUYVESANT — A new fashion hub welcomed its first startups this week — not in the Garment District, but at the border of Bed-Stuy. More than 500 guests celebrated the debut of the Brooklyn Fashion + Design Accelerator as the Pratt Institute launched its 21,000-square-foot facility at the former Pfizer building on Flushing Avenue. The workspace will house 30 design-oriented startups and provide everything from business mentoring to production resources for computerized knitting and 3-D printing. “Breaking into the fashion and design business can be extremely difficult, and many talented designers and artists get stuck trying to move from startup to the next level of success,” BF+DA Executive Director Debera Johnson said in a statement. 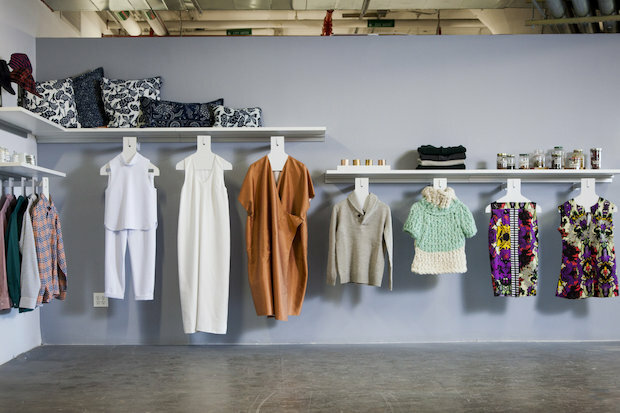 Production facilities will allow designers to create their garments or accessories in small quantities, and educational programs aim to help entrepreneurs establish viable businesses over the course of two to three years. Startup owners, or “venture fellows,” come in to BF+DA with a goal and receive consultations to help them realize it. The space also offers a showroom, a retail area and studios for lease. Sustainable strategies are a main focus, Johnson told DNAinfo New York. The accelerator emphasizes methods with zero-waste production and the use of organic, renewable materials. While BF+DA is open to designers and startups throughout New York City, it’s not just for entrepreneurs. Pratt will partner with workforce-developing organizations and community residents — specifically unemployed youth — for potential careers in the fashion and design fields. “Whether it's starting at learning how to sew or running a 3-D printer, we want to bring manufacturing into the 21st century,” Johnson said.